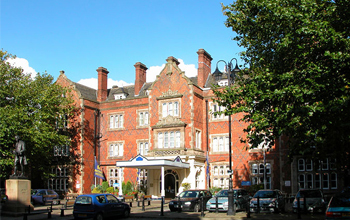 The North Stafford Hotel is an elegant hotel with a warm atmosphere, conveniently situated in the heart of Stoke. Staffordshire University is just a few minutes walk away, being located so close to the university means guests can enjoy a great expanse of places to eat, drink and party. This Stoke Hotels amazing transport links include being just a minutes walk to the nearest West coast Main line train station and easy access to local bus stops. This is great to setup for guests who are looking to explore further afield in areas like Manchester, Cheshire, Staffordshire and Derbyshire. The Britannia North Stafford Hotel is just a short drive to the M6, this is perfect for guests looking for a hotel near Alton Towers Theme Park (just 20 minutes away). Guests can also bring their family, or even their pet. Pets are more than welcome to stay with us and those addicted to technology can also enjoy our free Wi-Fi during their stay.